We’re rolling into the weekend with this news. During a joint appearance on Thursday’s episode of Jimmy Kimmel Live!, The Beach Bum costars and longtime friends Matthew McConaughey and Snoop Dogg described a frankly hilarious goof that happened during filming. 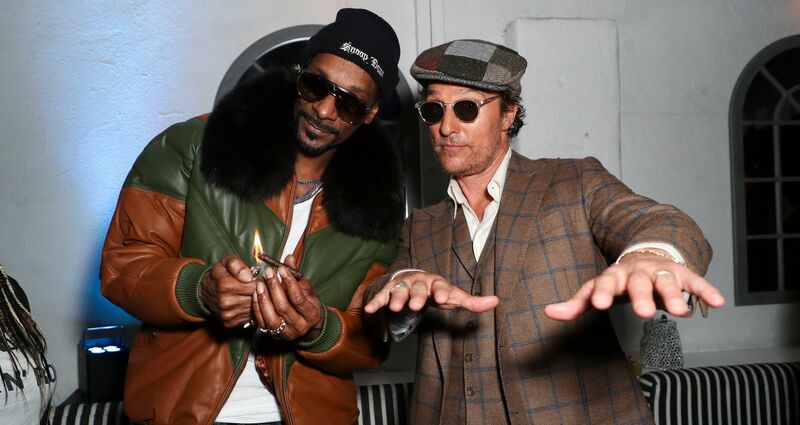 Apparently, Snoop Dogg wanted McConaughey’s weed-smoking in the movie to be authentic. So, he switched a prop joint for a real one and got high with McConaughey during a lengthy scene. While he was high, McConaughey unveiled a previously-hidden talent. He “wrapped for 13 hours straight,” according to Snoop Dogg. McConaughey was foggy on how the evening went down after they got high together, so the next day he asked Snoop Dogg to help him recall. “Snoop said, ‘You were great, Moondog. You hit 4 in the park home runs,’” McConaughey remarked. The Beach Bum is in theaters now.